Citibank’s ThankYou Rewards points can be earned via credit card and bank account bonuses. Those points can then be transferred to airline partners, used to pay for travel or merchandise, redeemed to pay bills, or converted to cash back. Citi ThankYou Rewards competes directly with two other bank issued transferable points programs: Chase Ultimate Rewards and Amex Membership Rewards. Most people get these points from their version of the Chase Sapphire Preferred called the Citi ThankYou Premier card. Like Chase Ultimate Rewards, Citi ThankYou Points are one of the best options because they are a flexible point currency. With airline or hotel loyalty programs, you often use your points for redemptions with that hotel or airline. Flexible point currencies give you a broader ability to use your points. That is why I encourage prioritizing flexible point currencies over loyalty programs. Below, you’ll find everything you need to know about ThankYou Rewards. The easiest and quickest way to earn ThankYou points is through Citi credit card signup bonuses, category bonuses, and retention offers (call about once per year to ask if any offers are loaded to your cards). Below are the current Citibank cards that earn ThankYou rewards. Of particular note are cards that earn 3X to 5X rewards within certain categories of spend: Citi Premier (3X travel & gas, 2X dining & entertainment), AT&T Access More (3X online retail), and Citi Prestige (starting Jan 2019: 5X airfare, travel agencies, and dining). There are a few ways to get better than 1 cent per point value when redeeming points for travel: Redeem for 1.25 cents value with the Citi Premier Card; Or book a 4th Night Free award with the Citi Prestige Card; Or combine both of these for up to 1.67 cents per point value. This option requires the Citi Premier Card. Book travel through the ThankYou Rewards portal for 20% fewer points than with other cards (this results in 1.25 cents per point value). For example, a $500 flight would usually cost 50,000 points, but with the Citi Premier Card it would cost only 40,000 points. 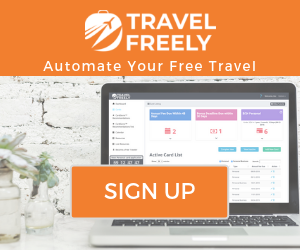 You can book airfare, hotels, cruises, and car rentals in this way. Airfare purchased this way still earns airline miles and elite qualifying miles. Hotels booked this way do not earn hotel rewards. Worse, hotels booked this way often won’t offer you elite benefits even if you have status. If you would like to use points earned on other cards, either combine your cards together or share your points (move points) from the other card to your Citi Premier. Fortunately, when you pay with points for travel, Citi’s automatic travel protections do apply. So, you will be covered for things like trip delays, trip cancellation & interruption, lost luggage, etc. If you have multiple ThankYou Rewards cards, you can file your claim with the card that offers the best protection benefits (i.e. if you have the Prestige card, go with that). Note: You can also get the 20% discount with the Prestige card, but only for airfare (not other travel), and only for those who became cardholders prior to 2019, and only until September 2019 for them. This option requires the Citi Prestige Card. Book a 4 Night hotel stay for the price of 3 nights (not counting taxes & fees, the 25% discount results in 1.33 cents per point value). If you would like to use points earned on other cards, either combine your cards together or share your points (move points) from the other card to your Citi Prestige. Hotels booked through the ThankYou portal way do not earn hotel rewards. Worse, hotels booked through the portal often won’t offer you elite benefits even if you have status. A better way to take advantage of the Citi Prestige 4th Night Free benefit is to book through the Citi Concierge (either by phone or by email). When booked this way, you will earn hotel points and elite credits. If you book this way, you can still optionally use points after the fact to erase the credit card charge. 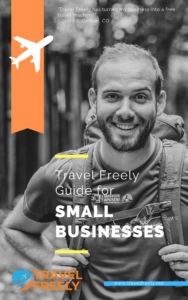 More here: Complete Guide to Citi Prestige 4th Night Free. This option requires both the Citi Premier and Citi Prestige. Combine the cards together within the ThankYou Rewards program. Then, book a 4 Night hotel stay through the ThankYou Rewards portal for the price of 3 nights (25% discount due to the Prestige 4th Night Free benefit). With your Premier card combined with your Prestige card, you’ll also get a 20% point discount. Together, the two discounts combine to 40% off. This gives you an effective value of 1.67 cents per point! The example above is a search for a four night stay. Both the Prestige and Premier card combined into one ThankYou account, so there’s eligibility for discounts associated with both. The Prestige 4th Night Free benefit reduces the pre-tax price by the cost of one night: $345.44. This gives a four night pre-tax price of 3 x $345.44 = $1036.32. With $136.98 in taxes, the total price is $1,173.30. Without the Premier card, the point price would then be 117,330 points. But the Premier offers a 20% discount on travel purchased with points, so the total comes to 93,864 points. Due to taxes and fees, our combined point value is slightly less than the theoretical maximum 1.67 cents per point: $1,518.74 / 93,864 = 1.62 cents per point. If you would like to use points earned on other cards, either combine your ThankYou accounts or share your points (move points) from the other card to your Citi Prestige or Premier. Hotels booked this way do not earn hotel rewards. Worse, hotels booked this way often won’t offer you elite benefits even if you have status. You cannot take advantage of the Premier card’s travel discount if you book through the Citi Concierge. The best use of ThankYou points, in my opinion, is to transfer points to airline partners in order to book high value awards. Your best bet is usually to wait until you find a great flight award before transferring points. One exception: Citi often offers 25% or 30% transfer bonuses to certain programs (Virgin Atlantic and Air France are two recent examples). If you’re confident that you’ll use the points for good value, it may make sense to transfer points when those bonuses are in effect. (instant) Monthly Air France Promo Awards often represent very good value. Air France miles can be used to book Sky Team awards, including Delta awards. (instant) Avianca LifeMiles can be great for Star Alliance awards. They offer reasonable award prices and no fuel surcharges on awards. They also offer shorthaul awards within the US (for flying United, for example) for as few as 7,500 miles one-way. Best of all, their mixed-cabin pricing can lead to fantastic first-class award prices. See this post for details. (instant) Cathay Pacific has a fairly generous distance based award chart and allows multiple stopovers. Fuel surcharges can be very high on certain routes. See: Best Use of Asia Miles (Cathay). (~1 week) Etihad has a very competitive award chart for American Airlines flights, among others. Beware that booking awards can be very difficult. (~2 days) While there are some niche sweet spots with EVA’s program, you’ll usually do better transferring points to Singapore Airlines to book Star Alliance awards. (~2 days) Don’t bother. Garuda’s award pricing isn’t particularly good. Worse, you’re supposed to go in-person to a Garuda sales office to ticket your award. (instant) JetAirways JetPrivilege miles are useful only for a few very specific cases such as certain flights to Hawaii for as low as 15K (30K business) one-way, or to the Caribbean or Central America for as low as 10K (20K business) one-way. Details can be found here. (instant) JetBlue points offer the most value when cheap ticket prices are available and when award taxes are high relative to the overall cost of the ticket (more details can be found here). The JetBlue Plus Card and the JetBlue Business Card offer a 10% rebate on awards, so you can get more value by holding one or both cards. (~2 days) Given Malaysia’s award chart devaluation in June 2017, I’m not aware of anygood uses for these miles. (~2 days) Qantas offers distance based award charts similar to Cathay Pacific. Both are OneWorld Alliance members. I recommend comparing award prices across both programs before transferring to either. (~2 days) Given Qatar’s award chart devaluation plus the addition of award booking fees in May 2018, I’m not aware of any particularly good uses for these miles. Shop Your Way Rewards 1 to 12 Don’t do it. (~2 days) Use to book Singapore Airlines First Class awards (generally reserved for their own members) or for Star Alliance awards. Low change fees and no close-in booking fees make this a very good program for booking United Airlinesflights. (~2 days) Miles & Smiles offers a number of fantastic sweet spot awards. The main catch: if you want to fly any airline other than Turkish itself, you have to go in-person to a Turkish Airlines sales office to ticket the award. (instant) Virgin Atlantic miles can be usefully thought of as a way to get a discount off Virgin Atlantic flights (high fuel surcharges make the flights far from free), but there are some better uses. Use miles to upgrade paid flights or to fly partner airlines. A fantastic use is to fly ANA in business or first class thanks to Virgin’s generous ANA partner award chart. Or, if you can find saver level Delta awards for nonstop international travel, you can often book through Virgin Atlantic far cheaper than with Delta directly. Citi Prestige cardholders can redeem points for 1 cent each either as statement credits or as cash back. If you don’t have a Prestige card, don’t do this because you’ll only get half a cent per point. Through the ThankYou Rewards portal you can redeem points for gift cards, merchandise, charity, bill payments, and more. At most, with this approach you’ll get 1 cent per point value. One exception is that Citi occasionally offers gift cards at a discount so you may be able to get better than 1 cent per point value during a gift card sale. You can also use points to pay some merchants directly (Amazon.com, for example). Don’t do this. These options offer very poor value. If you are the primary account holder with multiple cards, you can combine ThankYou Rewards accounts. When your points are combined, they can then automatically be redeemed at the same value as your best card. For example, if one of your cards is the Premier card, and have combined ThankYou accounts, then you’ll get a 20% point discount on travel booked with points even if the points were earned on a card other than the Premier card. You lose the ability to pick and choose which points are used when you redeem awards. You lose visibility into how many points remain with each card. The above disadvantages become important when you want to cancel a card: when you cancel a card, all points earned from that account are lost after 60 days. I recommend downgrading to a no-fee ThankYou card rather than cancelling outright. That way your points are safe. Shared points expire after 90 days. Make sure you have a specific near-term use in mind before transferring points. 100K limit: Each member may share up to 100,000 points per calendar year. Each member may receive up to 100,000 points per calendar year. It is unclear whether this limit is actually enforced. A reader reports that the 100K limit was enforced for her. A friend or family member with a Premier card can book travel for you in order to get the 20% point discount. If a friend has airline elite status with one of Citi’s transfer partners with which you want to book an award, you may be better off transferring points to your friend who can then transfer the points to the airline partner and book the award for you (to get free award changes, for example). Points earned by a credit card account expire 60 days after cancelling that account. Points transferred to your account expire after 90 days. Points earned from some older credit cards expire in a set amount of time after points were earned (e.g. 3 or 5 years after December 31 of the year in which the points were earned). Points earned from some credit cards expire if your credit card account has no purchase activity in 18 months. Points earned from Citibank banking products expire 3 years after December 31 of the year in which the points were earned. With most credit card points (except with some older credit cards which are no longer available), points remain alive until you cancel the card from which they were earned. Once you cancel the card, points expire after 60 days. Combining accounts does not solve the problem. When you combine multiple ThankYou accounts, it’s natural to assume that as long as you keep any ThankYou Rewards credit card open, your points will be safe. That’s simply not the case. 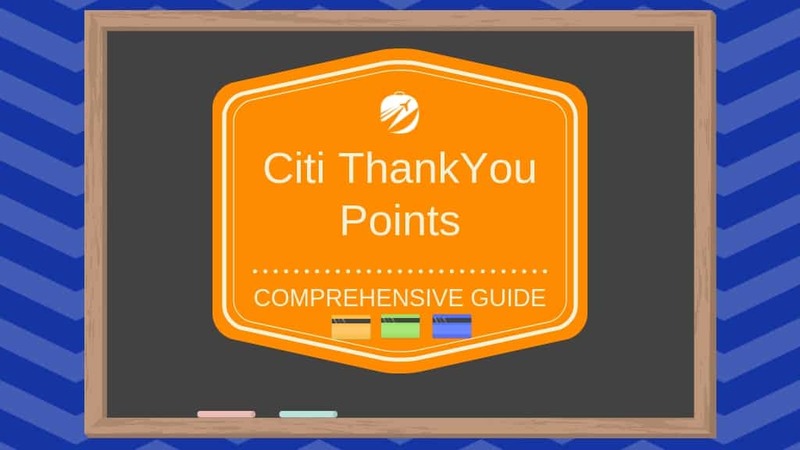 Citi keeps track of where each ThankYou point came from. If you cancel a card, the points earned on that card expire after 60 days. Period. The best way to preserve your ThankYou points is to keep your credit card account alive. If you don’t want an annual fee, then call to downgrade to a no-fee ThankYou card. There is a side benefit to this approach too: Your no fee card may be eligible for occasional lucrative retention offers. See: How one call led to a points bonanza and rethought plans. Points earned from banking products (such as checking accounts) expire 3 years after December 31 of the year in which the points were earned.. Fortunately, when redeeming points combined across multiple accounts, Citi automatically uses first whichever points have the most recent expiration date. So, in general, your banking product points (which eventually expire) will be used first if you have combined accounts. Citibank’s official ThankYou Rewards FAQ can be found here.